If you have recently joined us as a doctoral student, you are invited to our 'Starting Your Doctorate' induction session. This session is compulsory for all new starters where you will find out information from key university services. You will also have the opportunity to meet other members of the doctoral community. To welcome new starters to our community we will be holding a special 'Cake in the Commons' event. Cake in the Commons is our regular Friday social get together for doctoral students, here at the Doctoral College in 10 West. It's a great opportunity to take a break from your research and get to know other researchers over a complimentary cup of tea or coffee and cake. You can find out more about arriving and settling in on our main induction pages. 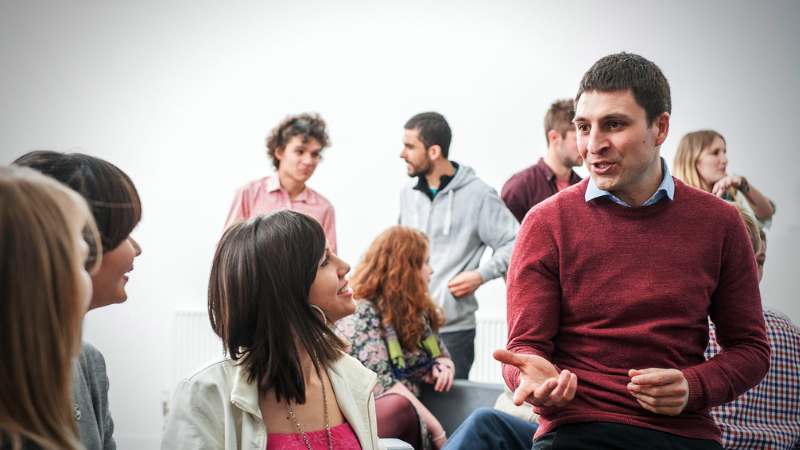 Your Director of Studies will meet with you when you arrive to explain any specific information about your programme. This will include key people in your department, health and safety arrangements as well as your working space and other logistical considerations. If you are a Professional Doctorate, studying in the Doctorate of Education (EdD) course, your induction will be part of the Winter School programme. This will include how you can access and make the most of university services whilst you are with us and other essential information. Do contact your Programme Support Contact if you have any specific queries about induction, or speak to your Supervisor.